Cheap Movers Club is your best choice for a Moving Company in the San Francisco Bay Area. We have a professional team of men that are regularly trained to make your relocation simple and efficient. Our San Francisco, San Jose and Walnut Creek movers are highly experienced at relocating your home or business throughout the country. We have specifically trained teams of Local and Long Distance Movers that specialize in moving countless people in and out of the bay area every year. 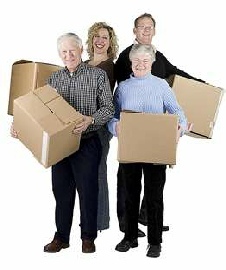 Moving near or far is an operation that requires serious expertise. We have straightforward easy to understand rates, no hidden fees, and most importantly, unparalleled service. Our teams excel at treating each move as if it were our very own. It’s more than just a point of pride, it’s company policy. Save up to 25% on your next move! (510) 340 9237. Content Copyright Cheap Movers Club Inc. Whether you need to move across town or across the state, our expert movers can help. We understand that relocating can be a big undertaking, so we work closely with our customers to create personalized moving plans, complete with an inventory of all items to be packed. Unlike most relocation companies, our team moves you on your schedule. So whether you need corporate relocation assistance or your move is for a change of scenery, we’ll get you where you need to be when you need to be there. The experts at cheapmoversclub.com understand that relocating can be stressful, even under the best of circumstances. That’s why we are one of the few companies that goes the extra mile to ensure that our movers provide topnotch customer care in all that they do. When you partner with our company, you’re working with licensed, insured, and screened professional movers who are committed to making your move experience the best ever. We guarantee your satisfaction in all that we do, and we encourage you to take a look at our testimonials to see how we’ve helped real people just like you with their relocation needs. Whether you need local or cross country moving, storage facilities, or anything in between, we have the relocation solutions you need.